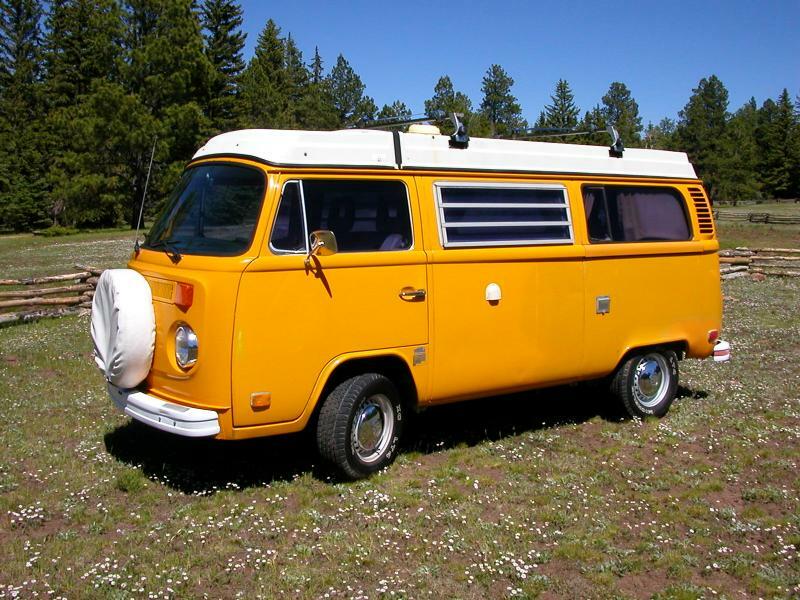 This bus was sold on 1 August 2005 to a new happy owner just a few blocks away in Los Alamos. Scroll down for more photographs and information. 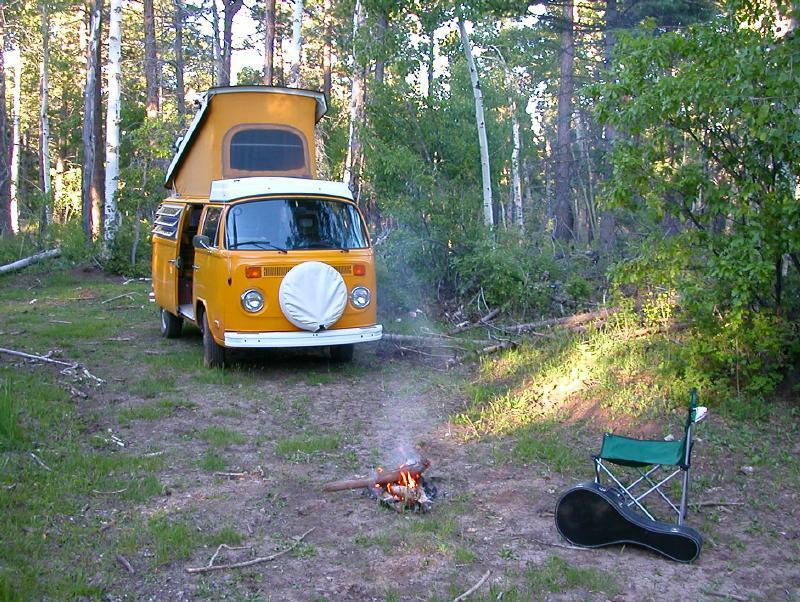 There is no better camper design for getting to remote places and instantly setting up a comfortable abode. This is what it's all about, folks!. Get away from it all! And its a great traveling car. Front view. 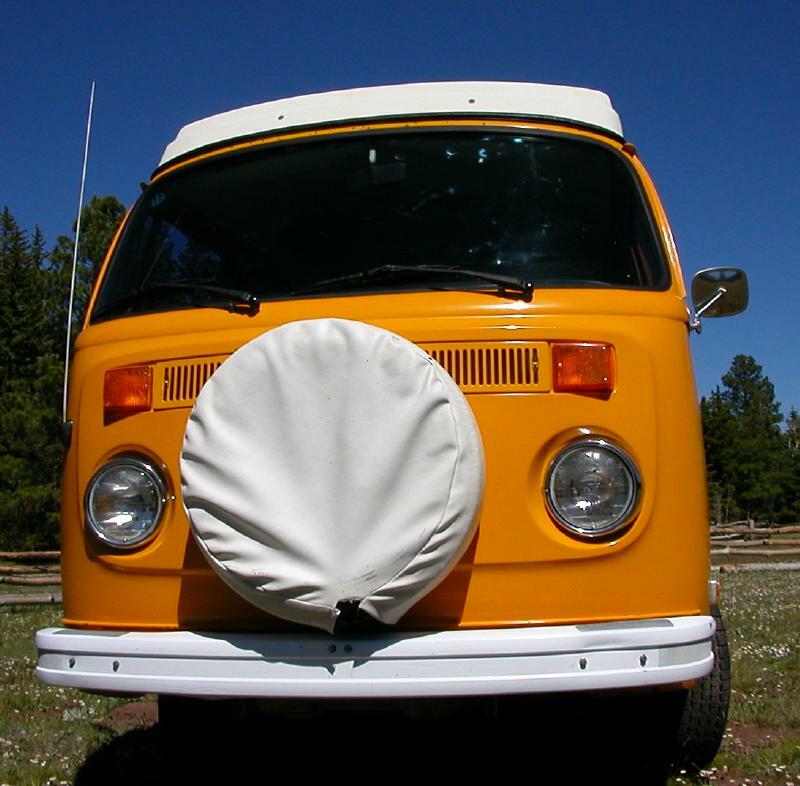 The tire is mounted on the front to provide extra space inside (like for stowing the stove). Rear view. Note the trailer hitch, and extra lights and reflective bumper for added safety. Right front view, with the poptop up. Left front view, with the poptop up. 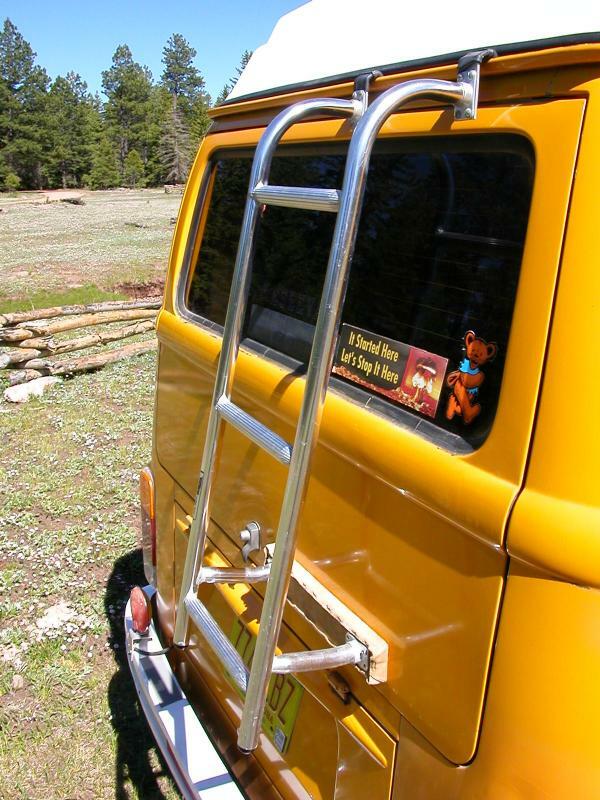 This stowable and moveable ladder hangs from the rain gutters, and allows access to the roof anywhere on the bus. 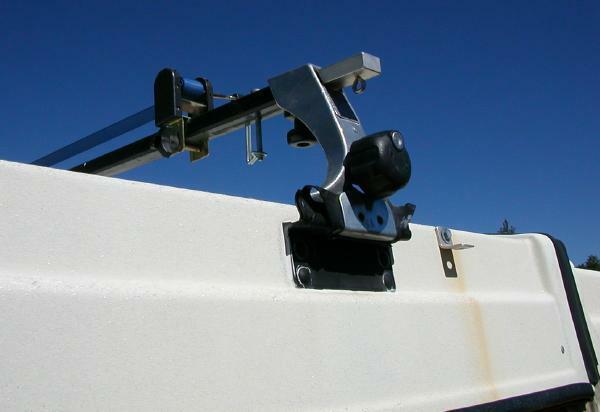 The awning clips to the rain gutter and provides protection from rain and sun. The lockable Thule racks have a hidden boom. Here it is in the stowed position. 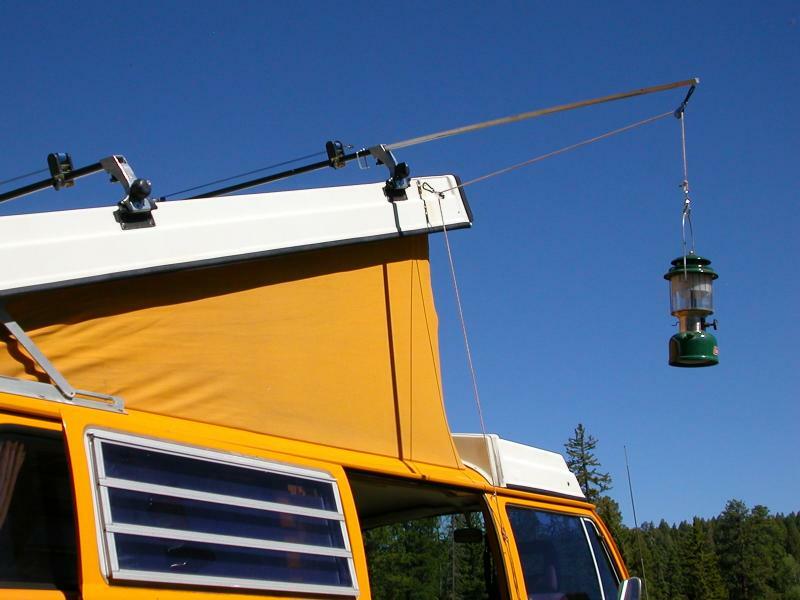 The deployed boom can be used to hang things, like this lantern. 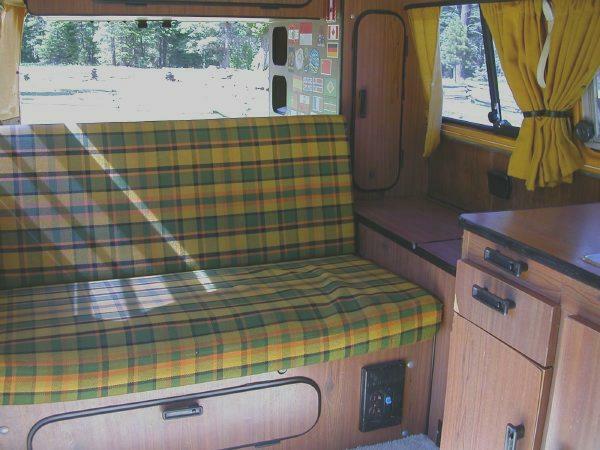 The front seats have been replaced with these comfortable seats for a Vanagon. Note the integral arm rests. The new seats also have new retractable seat belts. The original stock belts were not retractable. 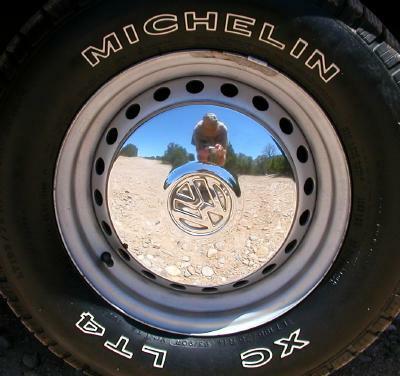 Four new Michelin tires with an aggressive tread make for better off-roading. 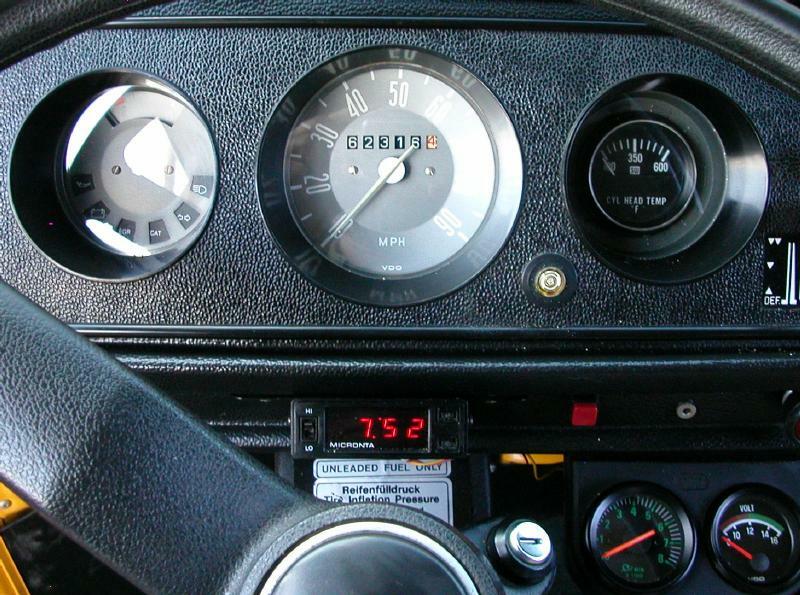 Added to the standard gauges are an essential cylinder head temperature gauge, a tachometer, and a voltmeter. A digital clock is also added. 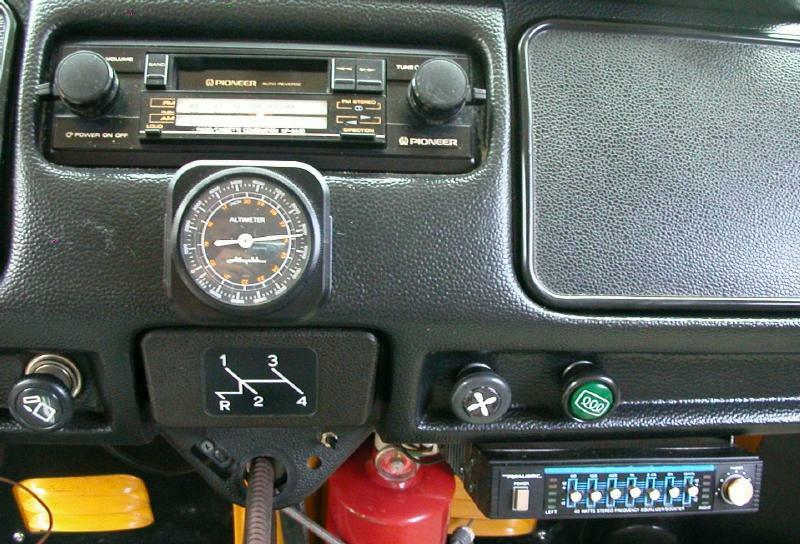 The headphone jack above the tach and voltmeter provides for private listening to the stereo. The red pushbutton turns off the clock display to save power. 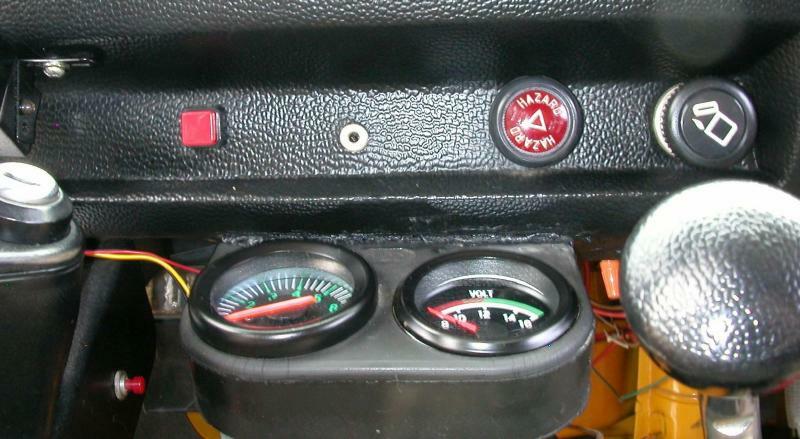 The red button on the steering column is the switch for the electric window washer pump (since the stock bus did not have an electric pump). The AM/FM cassette is augmented with an amplifier and four speakers. The switch next to the brake handle is for private listening. A remote kill switch for the stereo (next to the fluorescent light) allows for turning it off from the upper bunk! 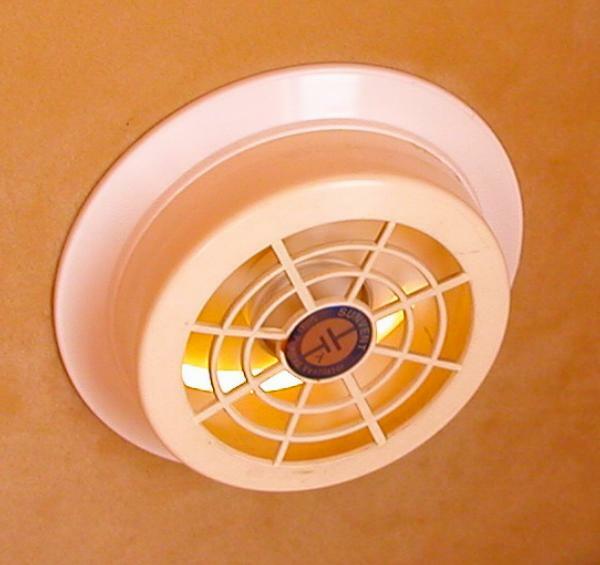 A solar-powered vent fan is installed in the roof. 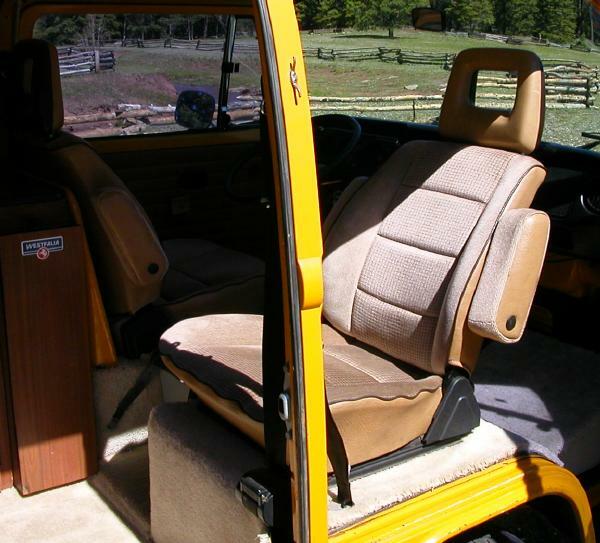 The rear seat, with three lap belts. The table installs for use with the rear seat. 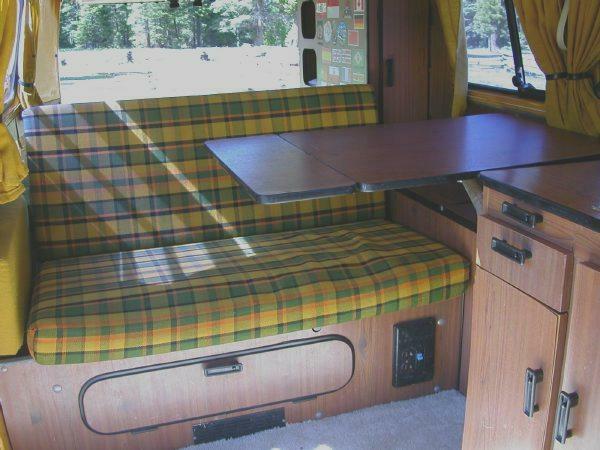 And the seat converts to a lower bunk for two. The upper bunk also sleeps two adults comfortably. 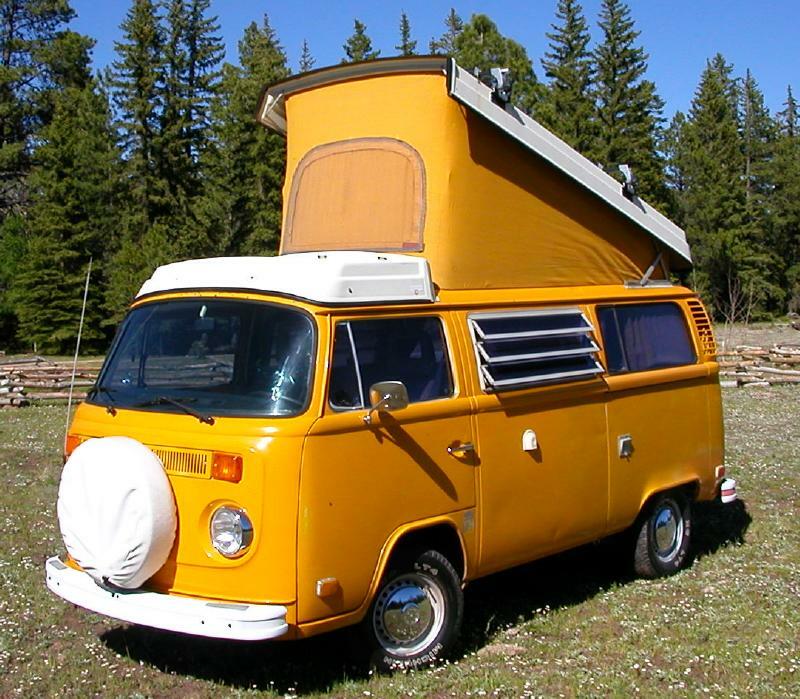 This is a California edition Volkswagen Westfalia camper, built in January of 1976. 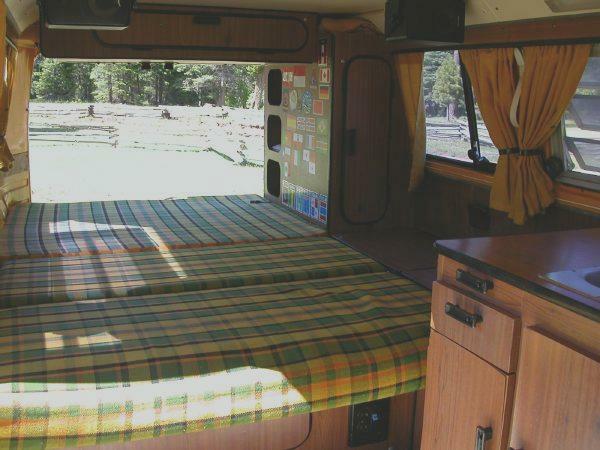 It runs beautifully, and is a great daily driver as well as a superior camper for four. 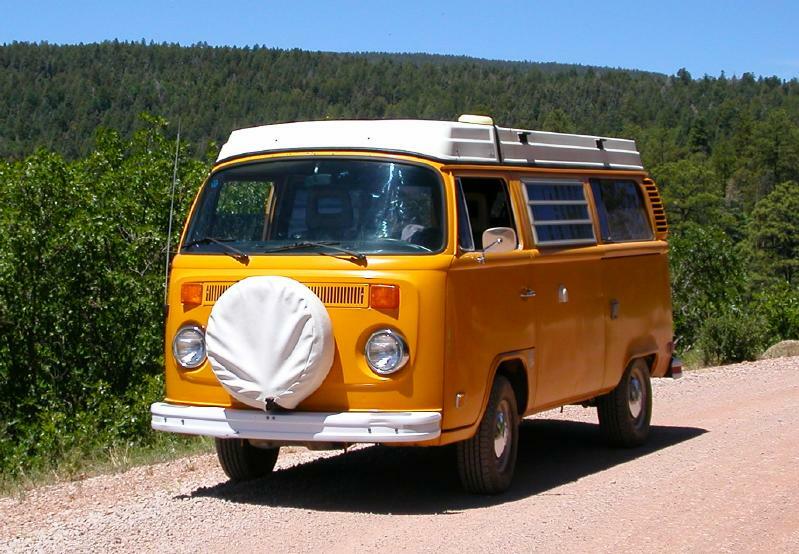 I've owned the bus since 1987, at about 100,000 miles. The bus has all its original manuals, and comes with an official shop repair manual. 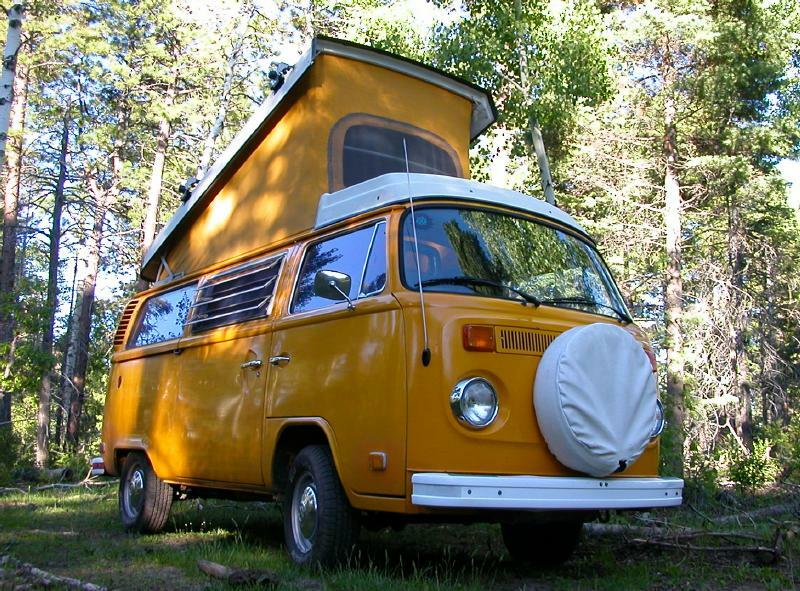 This is the ultimate compact camper. 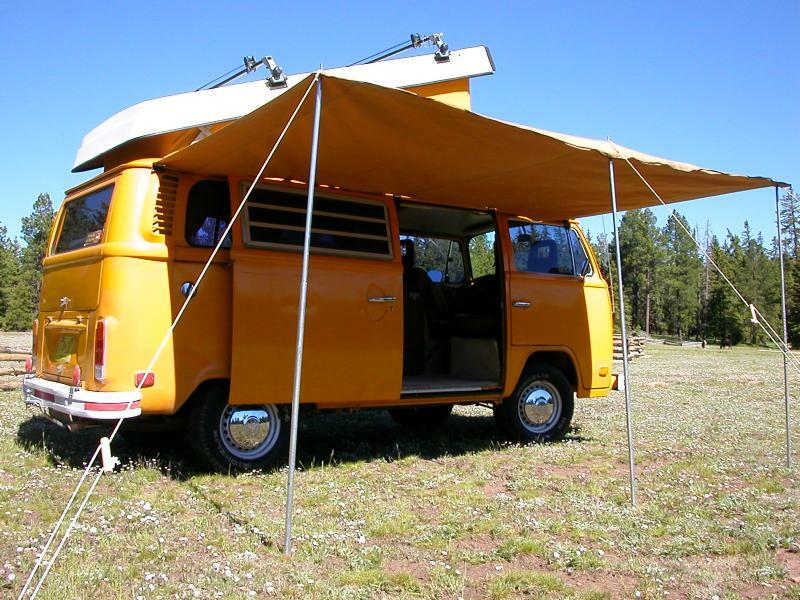 With the pop-top, it sleeps four comfortably, and has a water tank, sink, Coleman stove (for use outside) ice box, and awning for shelter from rain or sun. Jalousie windows are equipped with REI fine netting, to keep out the smallest bugs. Although a second battery is not currently in the bus, it is wired to accept one on an isolator circuit. 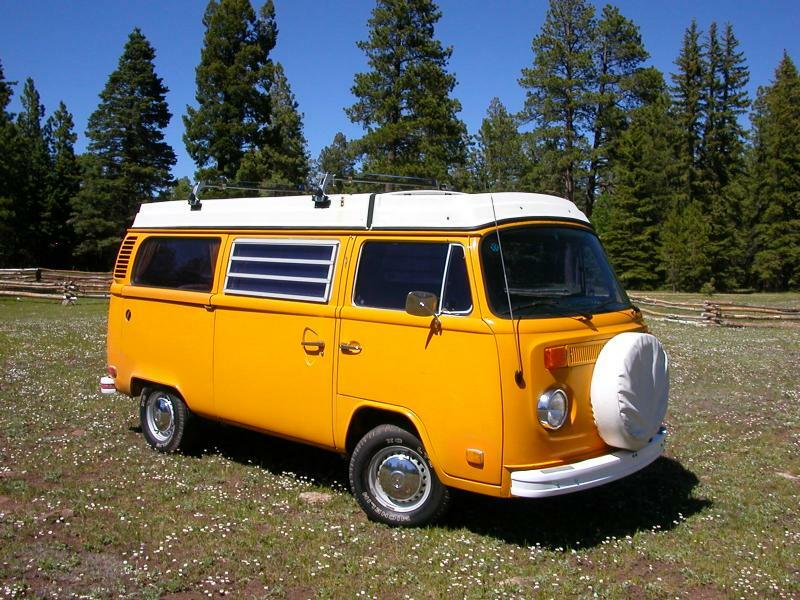 Yellow Bird has never been in a major accident, and the body is straight and true. Most importantly in a vehicle of this age, there is no body rust--just a bit of surface rust here and there. It sports a 2.0-liter air-cooled "pancake" engine, like the one found in the Porsche 914 of similar vintage. This original engine still holds even compression, as the vehicle has been gently driven. This bus has had three owners, and has spent the bulk of its years in the southwest (CA, TX, and NM) with a brief stint in TN. All repair records are included, as well as a detailed road and repair log since 100,000 miles. 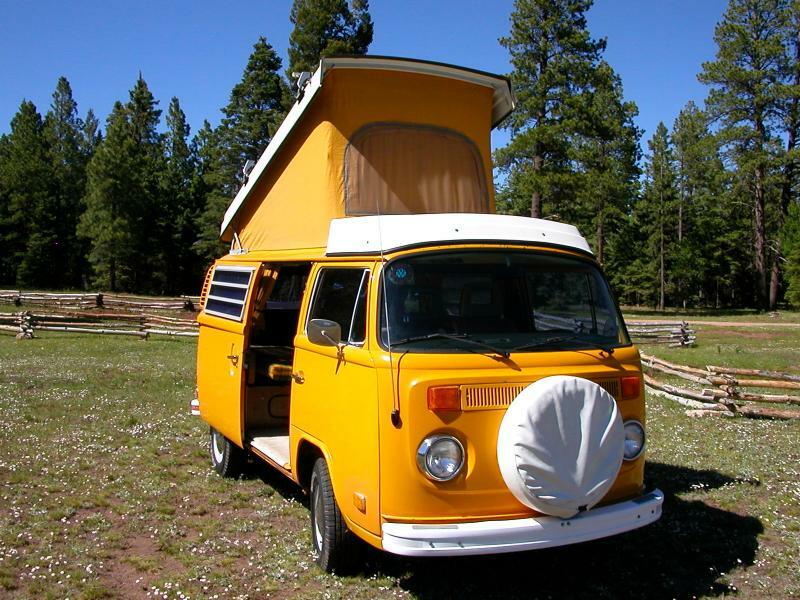 The bus was recently named in an impromptu naming ceremony on Zia Pueblo: Ko'och'it Wa'st'ich, or Yellow Bird. 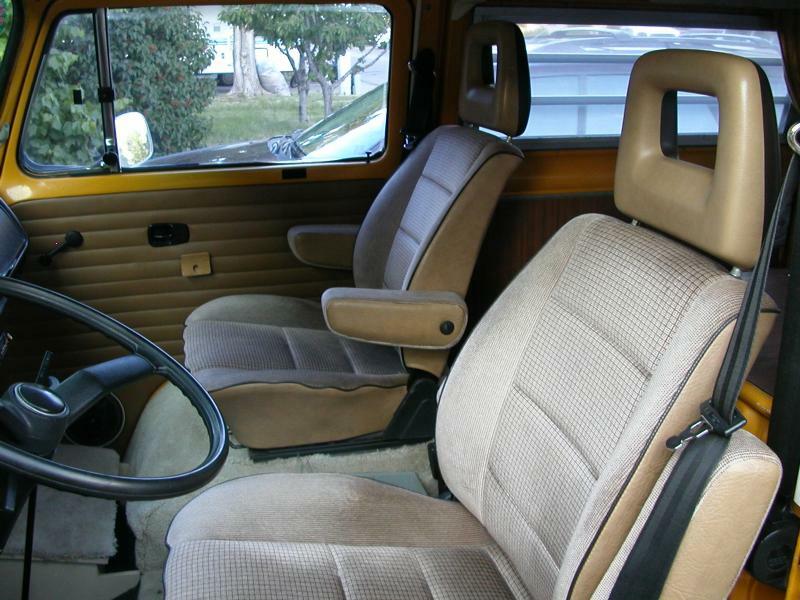 Front seats have been replaced with much more comfortable seats (with arm rests, even) from a Vanagon. Retractable belts, too! Steering wheel has been replaced with a later 70's model which is more comfortable. Three rear seat belts (lap belts only). Electric window washer pump. Why was this not stock? 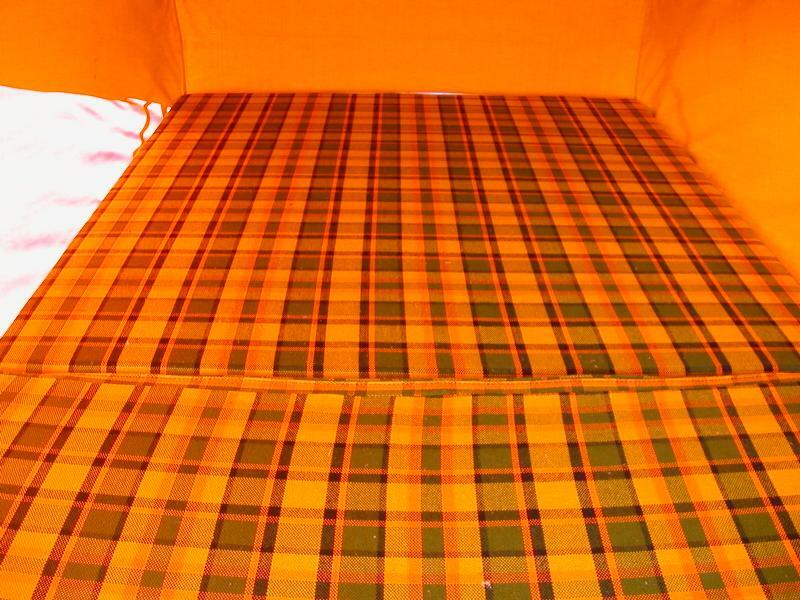 Heat curtain for the cab in wintertime. 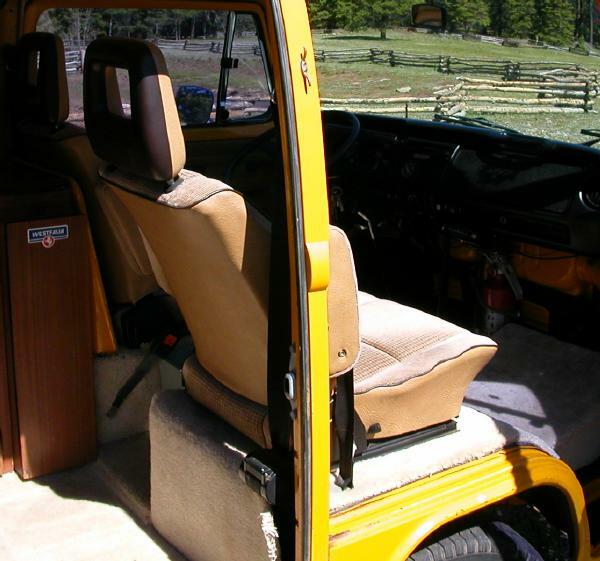 This is a snap-in ultraclear heavy plastic curtain to keep the heat up front in the cab. 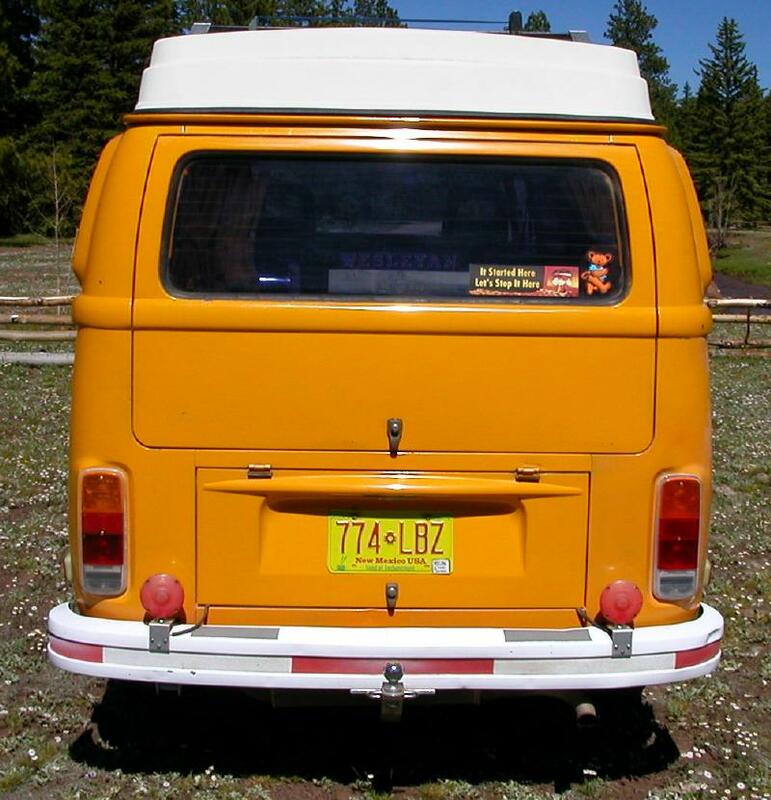 Other goodies: Exterior ladder, rear reading lights for the lower bunk. Battery disconnect switch doubles as an anti-theft device.